The Basque Country sits in the green north of Spain on the Atlantic coast, straddling over into France. 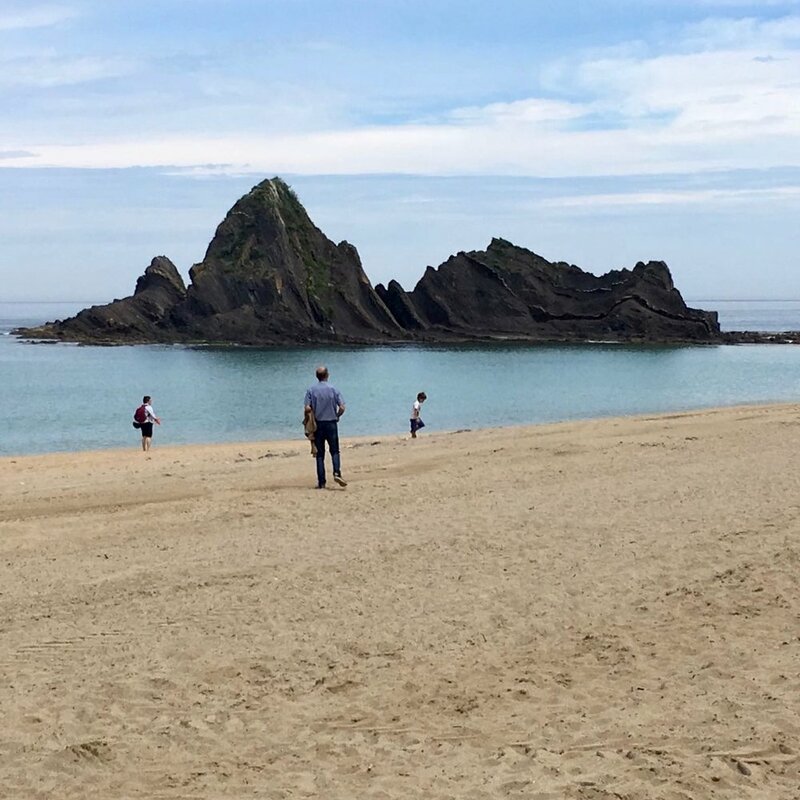 Known locally as Euskadi or País Vasco, they have their own language, their own culinary traditions (recognized by Michelin granting stars to over 30 restaurants), and incredibly beautiful geography. For these reasons alone we should visit, but once you learn of their passion for combining the convivial act of dining with the best quality ingredients, well, there’s no turning back. The trip is designed for experienced travelers with adventurous spirits and a passion for great food that is still made the way it was done hundreds, if not thousands, of years ago—food that is deeply connected to the people and culture of the place. Our guests are adults of all ages, and share a spirit of openness and a desire to experience a cuisine and culture that may be very new to us. And, our guests need to enjoy walking. We keep the group small—up to 15 guests traveling with one experienced host from Zingerman’s, plus our local guides.! Amazing food – almost all breakfasts, lunches, and dinners. We will enjoy traditional regional specialties made with local, fresh ingredients. Two Zingerman’s tour hosts and our guides, who will be at your disposal at all times. Our own private bus transportation. We will be staying in 4 different hotels over the course of the tour. They will range from lovely rustic comfort to city grandeur. All have private bathrooms. Most have Wifi. We will meet up on the first day in the early afternoon at our hotel for introductions. (We highly recommend that guests fly in a day or two early to get adjusted to the time zone, and visit some of the wonderful sites of Madrid, such as the Prado Museum.) We will start with a leisurely guided walking tour of old Madrid late in the afternoon, to get our bearings and some historical context. Afterwards we will do an exploration of tapas offerings in Santa Ana square, near our hotel. After breakfast at our hotel, we board our bus for the longest stint of the trip and make our way out to the lush green countryside of the Basque region. We will stop on the way to visit a Piquillo Pepper Conservas that Jose Andrés says are the best in Spain. We will have a nice lunch in the same town before continuing on for a couple more hours to our tranquil rural farm hotel in the heart of Basque Country for the next two nights. Dinner at the farm. 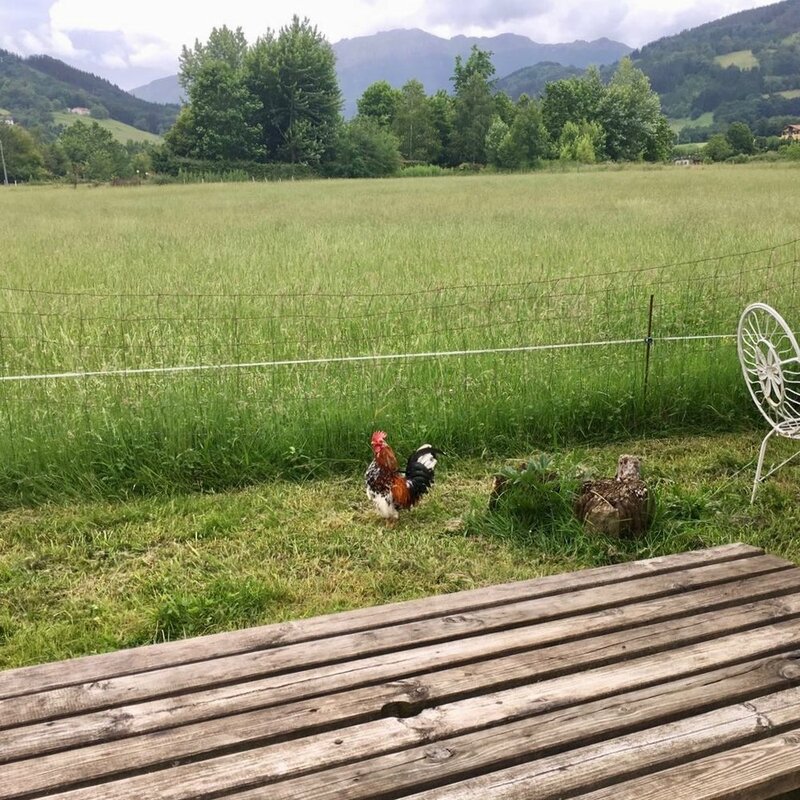 We will spend the day getting up-close and personal with the self-sufficient rural economy of this little-known part of the Basque Country – everyone talks about how the ingredients are the key thing in the fantastic food of this region, so we’re going to the source. Breakfast is at a leisurely 10am. We start with a visit to a sheep creamery for some delicious cheese and a lesson on cheese-making, and learn about sheepdogs and sheep herding. We will have an amazing lunch at a farm that produces most of what we will eat. If weather permits, we will have a country walk after lunch. Later we will visit a mill that makes a traditional unleavened flatbread of the area, called a talos. Our day will end with a walk around a nice traditional Basque town and light tapas. ﻿We pack and move out of the hills of Spain, heading to the flatter lands of France. Before we leave the hills, we will stop to visit the famous caves of Zugarramurdi for some unique local culture. Then on to lunch in a new country, but still Basque! We will spend some time after lunch in another nearby French town, this one infatuated with red peppers, to learn about the production of high-quality pimenton (don’t say paprika!). Afterward we will head to the coast for some oysters and wine before returning to Spain and our next two nights in a larger town and in the local Parador. We will stroll for pintxos in the evening. Today, back on the Spanish side of the Basque region, we will visit an important market, which plays a strong role in the economy of the whole area and is filled with all kinds of local foods. Depending on the weather we might see a good variety of mushrooms, as well as perhaps catch a glimpse of a well-known chef or two. Then onward to enjoy an extremely traditional Basque product – hard cider! After a lovely lunch at the sidrería, perhaps a walk to a nearby village, and a stop at a local winery on our way back to Fuenterrabia. In the evening, a light sampling of more local fare. Why not start the day with chocolate? We will briefly learn about the local contribution to the history of chocolate. The main part of the day is spent learning about the “alubia negra de Tolosa” – the black beans of Tolosa. We will visit the growers, spend time with a local chef learning how to prepare a traditional dish from these famous beans, which we then get to enjoy for lunch. We arrive in San Sebastian in the late afternoon for our two night stay. As per our custom, we will offer a stroll for pintxos in the evening, focused tonight on the San Sebastian traditional style. 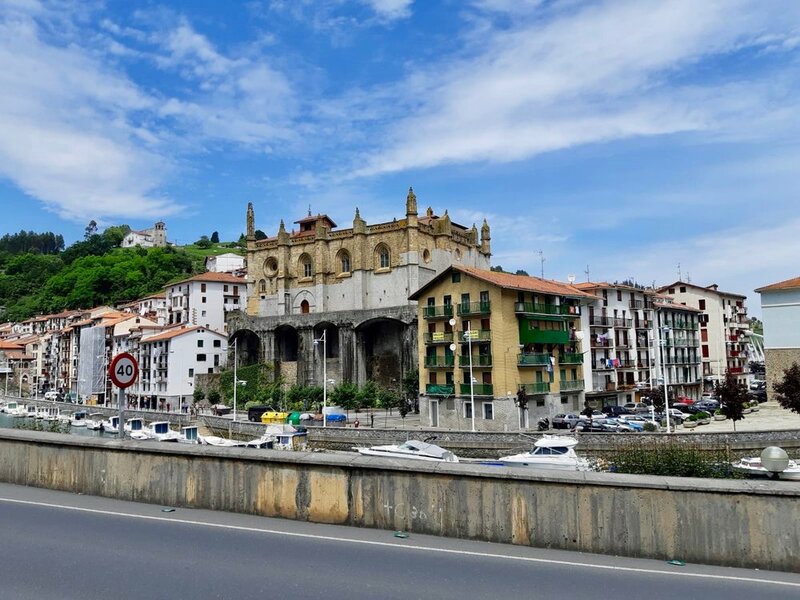 Spain is known around the world for the top quality of its tinned seafood, and on this last full day in the Basque region, we will visit perhaps the most famous producer—Ortiz. We will learn about their processes, and enjoy a tasting of their products before our grilled-fish lunch in this lovely seaport town. 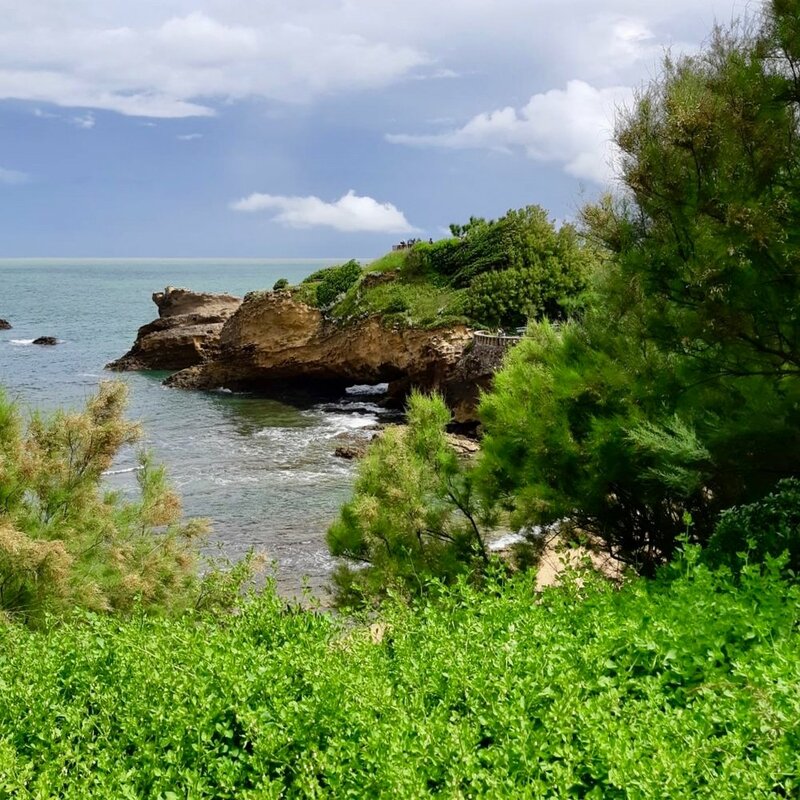 After lunch, a little sea air will be just the thing, so we’ll take a short boat ride along the coast, to see the beautiful coastline and its unusual rock formations. We’ll stop for a snack – the small but very famous tapa of the region – octopus! And then back to San Sebastian; in the evening an optional pintxos-crawl, in a different neighborhood from last night, one known for a more modern style of pintxos, to contrast with last night’s more traditional style. ﻿Before we say goodbye to San Sebastian you have the morning free to roam. We leave for Madrid around noon and will stop on the way for lunch at a highly rated, yet classic restaurant. Afterwards we will settle in for the 4.5 hour drive back to Madrid. In the evening we invite you to join us in a private club, back on Santa Ana square, for drinks and tapas. We will say our farewells tonight, in case some of us don’t cross paths at breakfast in the morning. Breakfast in the hotel; some of us will be leaving today, and others may be staying on to explore Madrid. One thing to note: this itinerary is the current plan, and things may change. We will make every effort to provide the tours and experiences that are described. However, the nature of the places we’ll be visiting — not typical tourist destinations — means that plans may change at the last minute. Also, you always have the option of skipping a particular excursion, but please note that we will be unable to make refunds for any missed meals or other events.